"The Filipino intelligence has a league of its own"
The jam packed public talk of India’s retired major general Vinod Saighal on India’ expanding maritime interests in Southeast Asia last June 18 (Wednesday) at UP Asian Center highlights Indian pivot to the East of the Malacca Straits; moving from its Look East policy to an Indo-Pacific projection based from the paper’s abstract. The relevant RTD poses a question of can India provide balanced multipolarity in East (Northeast) and Southeast Asia? Pockets of communities from the academe, defense and diplomatic corps attended the said forum. The solid ground of general Saighal’s paper attempts to discuss India’s plausible role as a multipolar balancer in the region. Obviously and consciously, the speaker and selected discussants magnified on the bigger chunk of China’s exposure to its smaller neighbors, whether in good or bad faith, as the latter continuously asserts its territorial reconfiguration and economic prowess in the region. Highlights of the talk focused on India’s economic interests in the region; India-Pakistan relations; India’s partnership with major powers in the Indo-Pacific region such as Japan, Russia, Australia, and the US; India-ASEAN partnerships, and Philippines-India defense and maritime relations. Some important questions covered specific issues on Philippines-India relations that slightly tackled ICTs and our country’s economic competitiveness, and people to people engagement of the two dynamic Asian democratic countries in Asia. The RTD ended after a genial comment of the current Indian ambassador to the Philippines expressing his message of strengthening our bilateral relations during the open forum. Listening to the talk if one is quite familiar to the dynamics in the pan monsoon Asia region only affirms one’s knowledge on the area of study. However, what is more intriguing is the fact that one’s previous assumptions of India’s maritime strengths, especially when shared to the public, may become a reality as India consciously intends to cement her strong presence in the most talked-about and vigorous region to date. I am a staunch believer that the Philippines must engage seriously with India. Our relations with dynastic and imperial India predate our pre-colonial period. A lot of pre-historical archaeological findings excavated in our country geared towards Hindustic culture with primordial pieces of evidence suggesting influences of maritime Indianized kingdoms in Southeast Asia dated during the Indianization process in the region beginning from early anno domino. Linguistically, most Austronesian words in the Philippines are Sanskrit in origin. The baranganic political system led by rajah in our early communities could be a modified form of refined Indian political structures in the past. Past forward early this year, I received an email from an Indian copy desk editor of the Extraordinary and Plenipotentiary Diplomatist magazine from New Delhi. I was not totally surprised that an Indian wrote me but rather on how they tap or recognized my research interest on India to get my nod in contributing to their prestigious magazine distributed mostly to circles of the diplomatic corps. In time of the magazine’s publication in April 2013, I also had the chance to visit India for the first time through the National Defense College of the Philippines Regional Security and Development Studies (NDCP-RSDS) that same month. As a member of NDCP’s in-house or tenured faculty, we chose India primarily because of its strategic importance to our country. We visited key defense and security organizations and institutions in New Delhi (capital city), Mumbai (financial district), and Bangalore (India’s Silicon Valley). Subsequent socio-cultural tours to Agra (Taj Mahal) and Rajasthan (princely state of Jaipur) also followed. The RSDS is done through rapid assessment, key informant interviews and secondary data gathering and analyses. We inculcate in our graduate students the fact that national security depends on the accurate perception of realities within the country itself and its various regional countries and the ability to develop and effectively pursue a strategy that meets the demands of these realities. Thus, our renewed friendship was commemorated last October 2009 in celebration of the 60th anniversary of Philippines-India relations. This amicable gesture cemented the 57 year old Treaty of Friendship signed in Manila on July 11, 1952 between the two countries. It is but fitting to continuously foster our relations as both countries become natural allies as we share together common democratic values - the Philippines being the first democracy in Asia while India is considered the largest democracy in the world. However, beyond treatises and good relations, there are still rooms for improvement that the two countries can learn from each other. Given the economic momentum gained by the Philippines recently in the current Aquino administration, it has to doubly accelerate trade with India, an emerging economic superpower encapsulated in the formation of BRICS. In ASEAN, the Philippines seems to lag behind with its neighbors, apparently, signing less economic and trade agreements with India. Forging our defense relations and military exchange with India is seen positively. A significant aspect of the bilateral relationship is the regular visit of the Indian Navy and coast guard ships to the Philippines. We also have seen greater interaction in the areas of trade, investment, tourism, and education. In the field of education, a pool of Indian alumni, if not the largest foreign graduates, holds MBA degrees from the Philippines Asian Institute of Management (AIM) and Indian pilots get competent trainings from our premier aviation schools. We also see continuous exchanges of military students in our respective defense colleges to reinforce camaraderie and intellectual exchange through security and military scholarships. 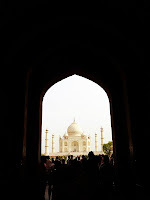 There are more interesting things to share in my blog about Philippines-India and/or India in general. As I teach strategic importance of India to the Philippines to my graduate students in NDCP comprising mostly of military officers, government officials, and CEOs from the private sector. Also, Asian traditions emphasizing greater India’s cultural and political importance in my graduate class at UP’s College of Social Sciences and Philosophy (CSSP), I came to realize that the Philippines and India should hand in hand and equally engage with each other at several fronts. Given all the confidence and potentials each country has, both countries must strategically continue to seek assistance and learn from each other in the fields of defense infrastructure, industry development, business process outsourcing, life sciences, research technology, medicine, tourism, and higher education. Dr Chester Cabalza is the Executive Fellow and VP for Research at the Development Academy of PH. Associate Professor & Course Director at the National Defense College of the Philippines. A Senior Lecturer at the University of the Philippines Diliman while he struggles as a disciple of Law. A Fellow of the National Defense University, PLA, China. A Fellow of the US Department of State on National Security Policymaking hosted by the University of Delaware. As a scholar, he has presented papers in various international academic fora locally and abroad. He has published scholarly articles for peer-reviewed domestic & international journals & wrote the Political Dimension of National Security (Int'l) Module for the e-distance learning of the MNSA. His blog follows the principle of lex et societes (law & society). It contains research papers, commentaries, case digests (recommends reading the full & original texts), Philippine laws & jurisprudence, prose & poems, virtual ethnography, & essays on local and foreign issues. He also enjoys photography. Interviewed for and by local and foreign media for his expertise and commentaries. Can Social Media Save the 2019 Midterm Election in the Philippines? People vs Sendaydiego, et. al. It’s the Food Security, Stupid!